(knights are inveterate readers of newsprint ) where he has spotted an odd fact or news item, and torn it out of the publication, to use to his advantage at a later date. 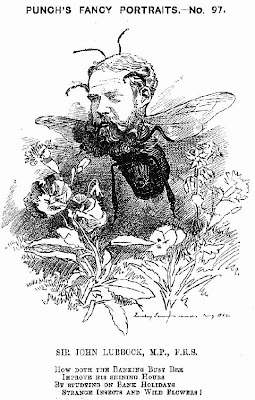 Sir John Lubbock experimented on ants by getting them drunk. The 19th century biologist discovered sober ants would carry their drunken ant comrades back to the nest, if they were from the same colony - but they would throw drunk strangers into the ditch. This sort of thing is like catnip to a KMSA Knight, dealing as it does with; Drink, Curiosity, Eccentricity, and generally the notion that there is nothing better or more important in life than to just get a bunch of ants drunk in the name of science. 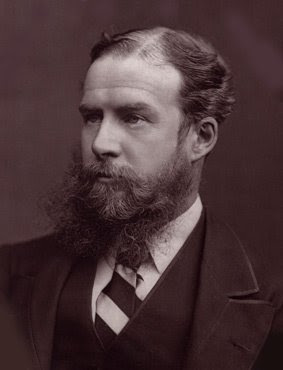 My requested quest then was to find out more of this John Lubbock. Well for a start it turns out he is an English Aristocrat; the 1st Baron Avebury, no less, and a real Sir as well, which puts our own self titled knighthoods to shame for a kickoff. He also looks a great deal like a young Sir Bowie. And so it was as an amateur biologist of some distinction, writing books on hymenoptera (Ants, Bees, and Wasps. A Record of Observations on the Habits of the Social Hymenoptera. in 1884. ), on insect sense organs and development, on the intelligence of animals, and on other natural history topics, that Hooky's scrap of paper was drawn. But it was to a little footnote to his life that I was drawn, as in its simplicity it summed up one of the main tenets of KMSA life, that of the Library or now-a-days the Internet, when he was cited as having written the quotation, "We may sit in our library and yet be in all quarters of the earth". This variation appears in his book The Pleasures of Life: "Not only does a library contain "infinite riches in a little room," but we may sit at home and yet be in all quarters of the earth." Sir Dayvd (the travelling Cyber-knight) of Old Oxford Town. Sign me up for the next study of drunken animals...and I'm not talking about the next KMSA Council! LOL! Good research, and well done mate! Little did we know when I handed you that piece of paper in London that we would find such an interesting character. And yes, he does bare a remarkable likeness to Sir Bowie. Perhaps Sir Bowie experimented with drinking ants in a past life? LOL! Dare I say, that with such impressive credentials and outlandish ideas...we must make Sir John an Honorary Knight of Moleskine, Spirit and Ale...to join the ranks alongside other H-KMSA's like Sir Jack of America! Yes I guess that Sir John of Avebury is ecletic enough to join our merry band. A real life knight plus all the other off-the-wall questioning of life he did, I'd say he is a Model KMSA man. I'm sure he'd be proud. I see that with all the links I am getting today, regarding American Morris Dancers that the next stage of the English withdrawl symptoms has now been entered; that of the search for the English Drug on he US side of the Pond. Well happy Dancing Hook, when May comes around. You can proudly tell them you have actually danced with the Oxford Scholars and Gents Morris dancers and didn't disgrace yourself for one second. Sir Dayvd ( who has cleared up after his beer and BBQ on the lawn out front and is trying to resist having a nap ) of the Cotswolds. Makes me wonder if ant societies have Good Samaritans who see all ants as one? Do ants Morris dance when they're drunk? .... Now that, Lady Tammy, reminds me of the brewer who died after falling in a vat of his own beer. Mind you, he had to climb out six times to go to the restroom first.